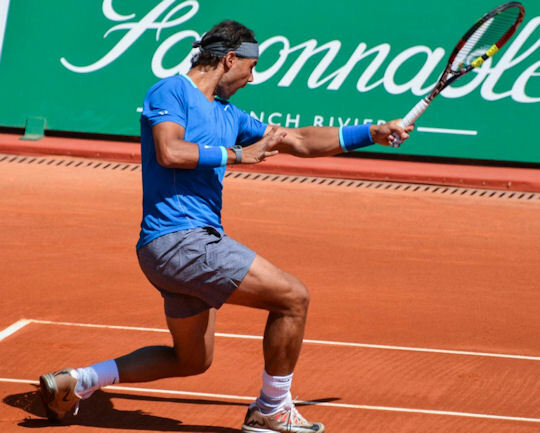 Monte Carlo 2014 may be remembered for Rafa's losing in the quarterfinals to to David Ferrer (6-7(1), 4-6), but it should also be remembered for Rafa's notching his 300th win on clay (against Andreas Seppi, 6-1, 6-3, in the third round). Q. Can you explain what happened? Was it a bad day for you? Just a great day for him? How do you feel in general after this match? 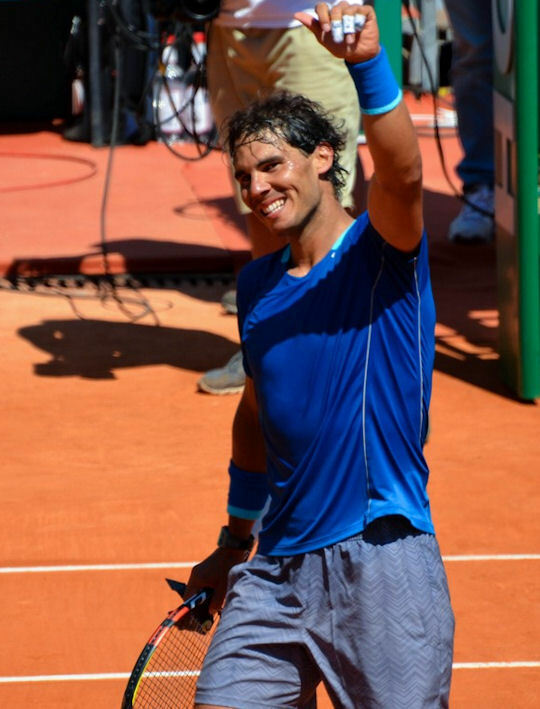 RAFAEL NADAL: Was a tennis match. When you play tennis, you can lose, you can win. When the opponent is doing the things better than you, the normal thing is lose. That's what happen today. I didn't play the right way. I didn't play with the right intensity with my forehand. I played too short. I give him the chance to have the control of the point almost all the time. He did much better than me, so just congratulate him. Q. Does losing here hurt more than losing at another tournament to you? RAFAEL NADAL: No. Losing hurts everywhere. On clay always little bit more. Is not lose, is the feeling on court was not the best one. So not happy today about what I did. Not very happy about the way that I played the second set after losing the first. I didn't play with the right intensity at the beginning of the second. I give him big opportunity at the beginning of the second. I cannot do it. Q. You had 44 unforced errors today. It's very unusual for you. What reason do you see behind all those mistakes you had? 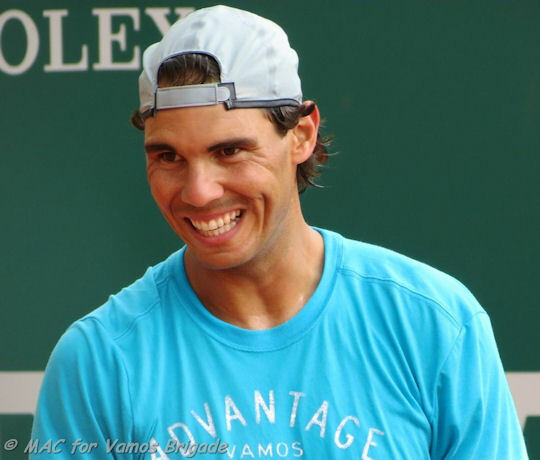 RAFAEL NADAL: The reasons is I am not playing enough well. That's the main reason. I am not playing with the right intensity with my legs. When that happens, the unforced errors are there more often. Is true that I started the year great in Doha and during Australia. But, I don't know, I don't have to lie to nobody. After what happened in Australia was little bit harder for me to find again the intensity, the confidence, the inside power that always I have. Even if I won Rio, I played the final in Miami, you know, remains something in my mind and in my game. I going to fight to try to find that solution soon. Q. You mentioned about confidence inside. Is there a problem with your confidence? Is there something that's maybe affecting your confidence? You were 4 1 against Gabashvili. RAFAEL NADAL: Forget it. Is a completely different history. Doesn't matter what happened in the first and second match. Is true if I lost that point at 4 1 in the first game, will be hard to come back in the set. But is a different history. I think I still have little bit of room to win that match, even with the 4 1. Yesterday, too, I played good, with confidence. But is not that problem. The problem is when the match became little bit more to the limit, and not answering the right way as I normally do. So that's it. Q. A player like Ferrer, he doesn't give you anything. He fights for every point. It's very hard to stay in every point and find the intensity? RAFAEL NADAL: No, is not very hard. That's tennis. That's the sport. Fight for every point: that's the way to win. With my style of game, I don't know another way. I am not a player who will win in two shots. I can do it when I am playing very, very well. But normally I play the points. I fight for the points. I'm playing with no mistakes. I'm playing with a very regular level. Is something I was not able to do. He did much better than me. That's my feeling, my personal feeling. I'm talking from a tennis player from inside the court. That's my view of what's going on. But I can be wrong. Q. Did David surprise you in some way with something he did, something which was new or strange that he did this match? RAFAEL NADAL: No. David always plays great. He's a fantastic player. He's top, top player. To win against him, you have to be at the top level, no? Last year I played with him in Madrid. I was two points away to lose the match. I played against him in Rome. I won very long match in three sets. And is true in the final of Roland Garros, I won in straight sets. But always a big challenge play against him. Is not surprise. Only difference is you're not playing very well, you're not in a good position when you're playing against him. I didn't play well today. Q. Regarding confidence, is what happened in Australia still in the back of your mind? RAFAEL NADAL: I don't know. I don't know. I think after what happened, not only the lose, the same time, too, the pain in my back that I had, I had to do treatment after Australia, not playing for three weeks. I played in Rio. After Rio I had to stop for 10 or 12 days again because the back still hurt me. But after that I feel the back much better. So I already have since Indian Wells to here I am doing a regular work. Should be okay for that. No, no, is not an excuse on the back. No, the back is in good shape. Physical performance is in good shape. No problems about that. Just keep working to try to find the solution for next week in Barcelona. I going to try to play well in there and fight for the matches. Q. What is your state of mind right now? Is it more frustration, anger, doubting, surprise? 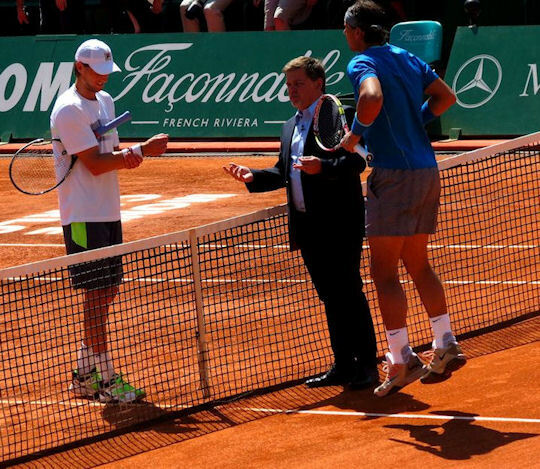 RAFAEL NADAL: Lose against David Ferrer is not surprise. Frustration? I cannot be frustrated to lose a tennis match. In the life there is much more important things than a tennis match. But I am not happy with it. I feel that I have to do more than what I did today. So when you feel that you can do more, always you come back home or to the next tournament with not the best feeling. That's my feeling today. I didn't find the solution. Not talking about winning or losing, but the solution of my game at the right time. You can lose because David is a fantastic player. No frustration, no drama. Just tennis match. But at the end I prefer to win (smiling). While some of his fans may have described themselves as being "gutted" by this loss, Rafa Nadal is not a Sturm und Drang kind of guy. As he said, "No drama." 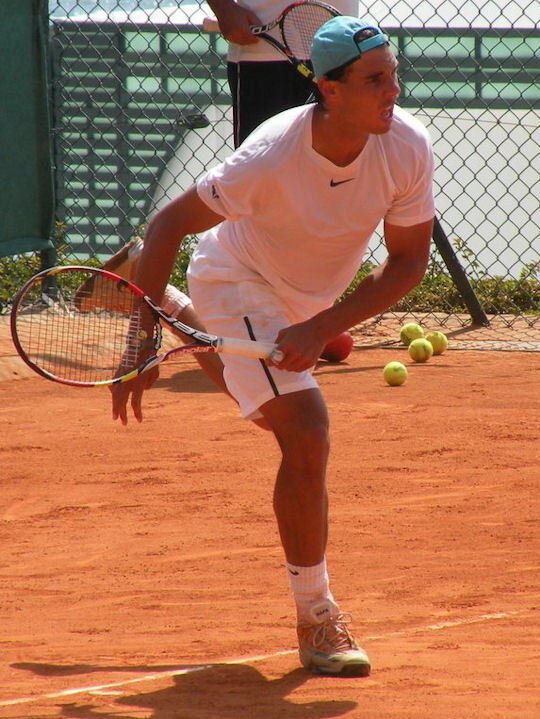 It probably surprises no one that he was practicing in Barcelona the day after his loss in Monte Carlo. I know that the following photo by MAC appeared on last week's home page, but it's so exceptional, I wanted to include it on this week's, too. 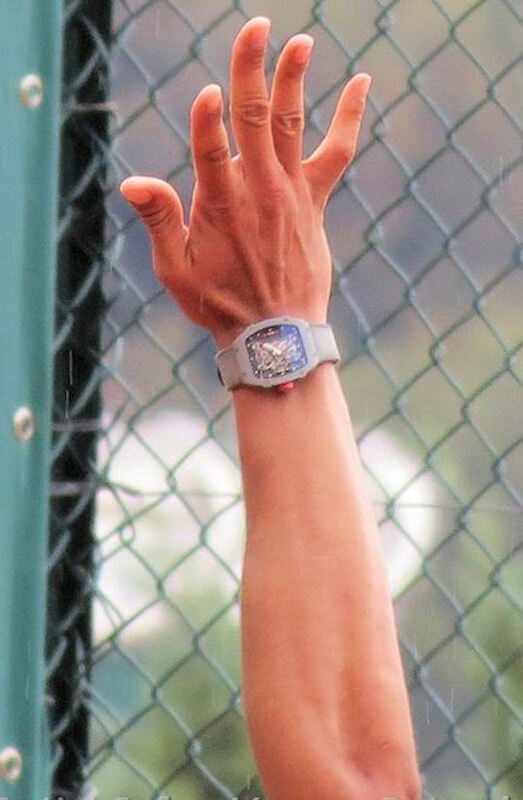 silvamine and Maggy Bassett suggested that Richard Mille consider using it in promotional campaigns for his watches. Mr. Mille, if you are interested, you can contact MAC c/o this site. 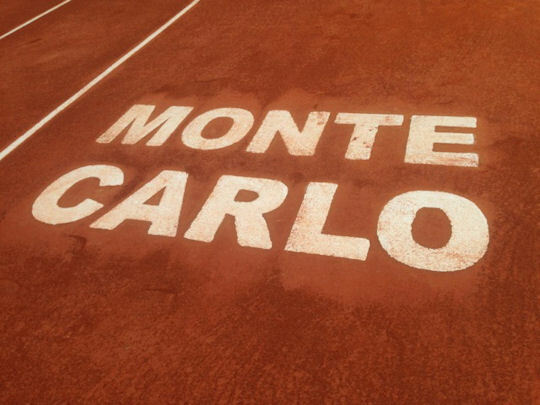 Rafa won Monte Carlo a record eight times before he lost in the final last year. After that loss, he went on to win seven more titles in 2013 (for a total of 10), including Roland Garros for a record eighth time, and the US Open. 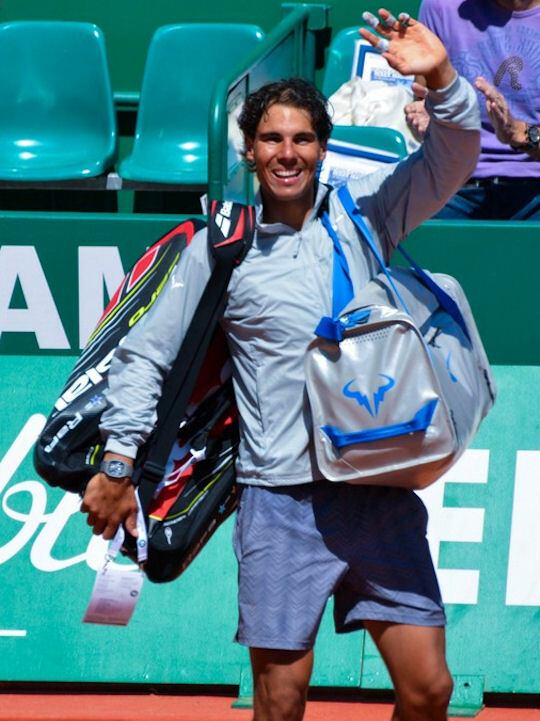 It's possible that this year's loss in the quarter finals of Monte Carlo will motivate him to exceed that. 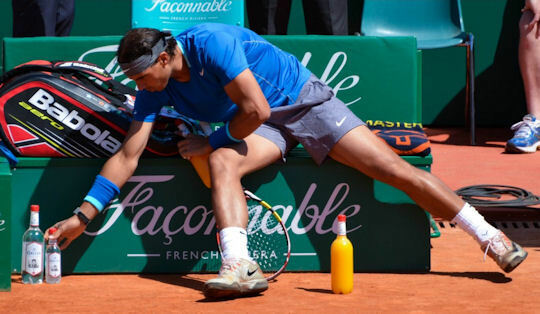 If there's one thing I've learned, it's to "Never, ever, under any circumstances, on any surface, underestimate Rafael Nadal." Good luck in Barcelona, Rafa!